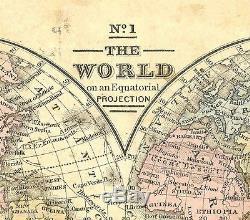 This world map, hemispheres map triptych entitled No 1 The World on an Equatorial Projection, Map of the Eastern and Western hemispheres is from a collection of old maps that date back to the mid 1800s. Your triptych will be comprised of the three separate images you see above. These prints are available with either a matte or glossy finish on fine art paper, canvas, or as gallery wrapped canvas prints. 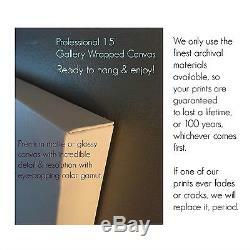 Our gallery wrapped canvas prints are ready to hang, as soon as they arrive on your doorstep. Additionally, our prints are guaranteed for life against fading or cracking as we only use the finest archival equipment and materials available. This triptych print makes an outstanding work of art, and is sure to spark some lively conversations with friends and family. 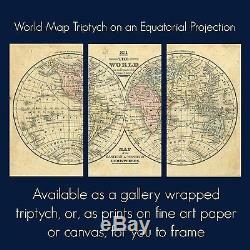 It also makes a great gift item for those who appreciate vintage geography in their home or office. Go ahead, indulge yourself, you deserve it! Your giclee prints will be created using archival, fade-resistant, pigment inks, heavyweight, museum-quality paper and a 12-color process fine-art printer to ensure the most vivid, detailed and long-lasting prints. To prevent fading, as with all prints, please never expose them to direct sunlight. To protect your investment, we recommend that you mat and frame your prints. There are no mats or frames included with these prints unless you order the gallery wrapped version which includes the canvas prints professionally stretched and mounted onto our high-quality basswood frames. This triptych is offered in the following three sizes (dimensions given represent the total of all three pieces when hung together as a single unit). 24" wide x 14 1/2 high, each piece measures 8" wide x 14 1/2 high. 30" wide x 18" high, each piece measures 10" wide x 18" high. 36" wide x 21 1/2" high, each piece measures 12" wide x 21 1/2" high. NOTE : These dimensions DO NOT INCLUDE the spacing between the three prints, so please add that in when calculating the total wall space area you are covering--we recommend between 1 - 2. All of our prints are carefully positioned with an approximate eighth inch border on all sides for matting and framing adjustments, although this may vary slightly based on the size of print you order and the size of the original image. If you would like a different size border, or need to know the exact border size, or a borderless print, just let me know when you place your order. Our gallery wrapped prints have no borders and we use a mirrored image on the edges, which are 1 1/2 in depth. A mirrored edge is a repetition of the last 1 1/2 inches of the image so that it wraps around the sides of the frame. If you would like the edges to have a different treatment, we can accomodate, just let me know when you place your order. Your prints will arrive safely, or I will replace them. Great care and detail was taken to get this delivered in perfect condition. Five stars for a great shop and owner! Steve is a professional in his field. Beautiful work, excellent customer service! See ALL of our Gallery Wrapped Canvas Prints Here. Return to my Store Home Page Here. 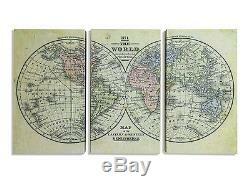 The item "World Map Mid 1800s Hemispheres World Map 3 PC Vintage Map Decor Wall Panels" is in sale since Monday, June 12, 2017. This item is in the category "Home & Garden\Home Décor\Posters & Prints". 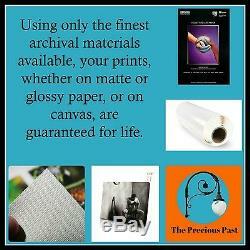 The seller is "thepreciouspast" and is located in Hyattsville, Maryland.